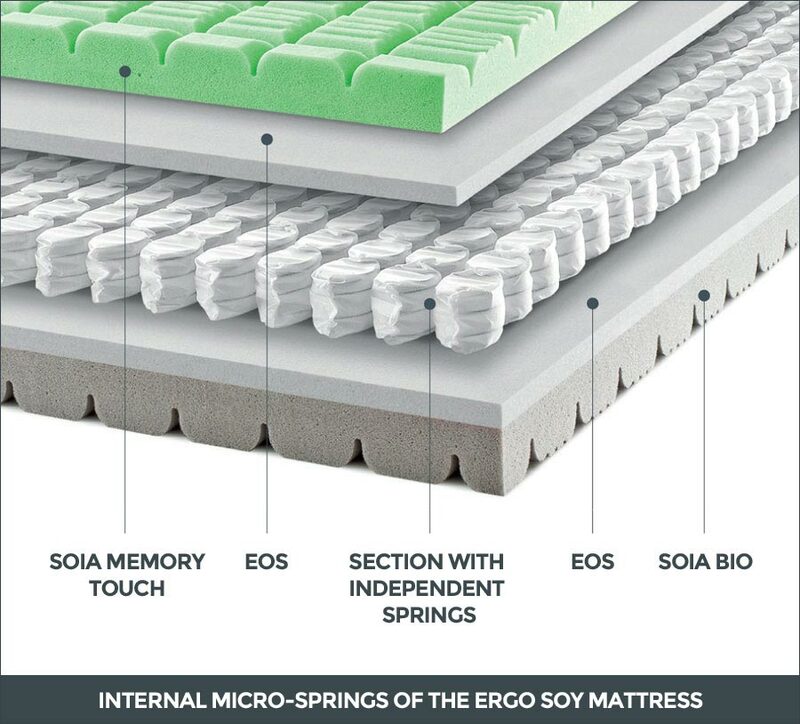 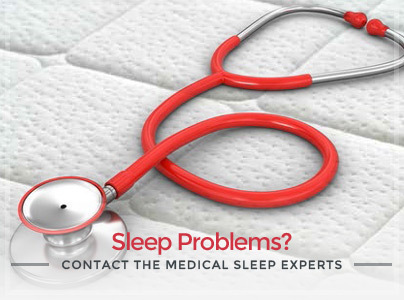 This mattress represents the perfect combination between Bio-Soy Memory Touch and the pocketed micro-springs that are used on the inside. 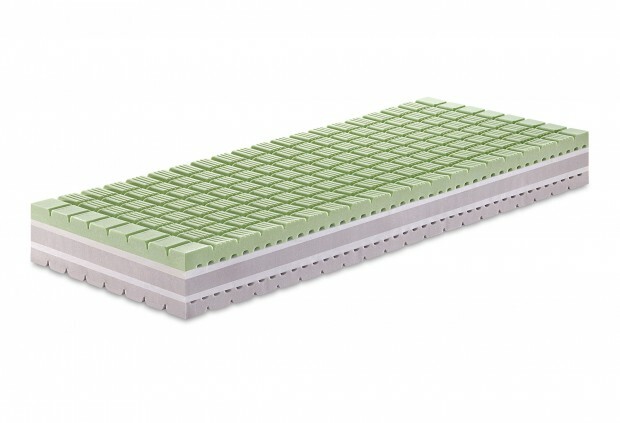 Bio-Soy Memory Touch conveys a pleasing welcoming feeling and the layer of micro-springs placed inside the mattress gives elasticity guaranteeing the right support for your whole body. The surface made of Soy Memory Touch delicately adapts to body pressure without any type of compression, shaping itself perfectly to our contour. 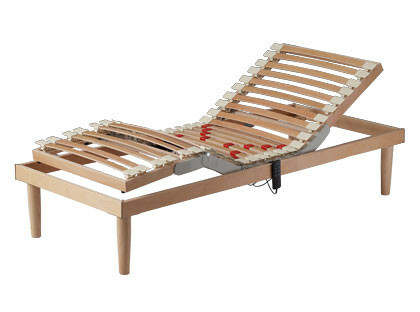 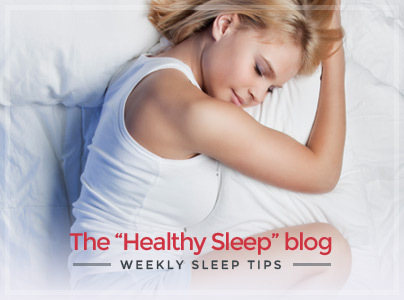 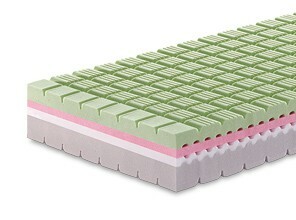 It allows a calmer rest for a complete relaxation of muscles and nerves, improving blood flow. 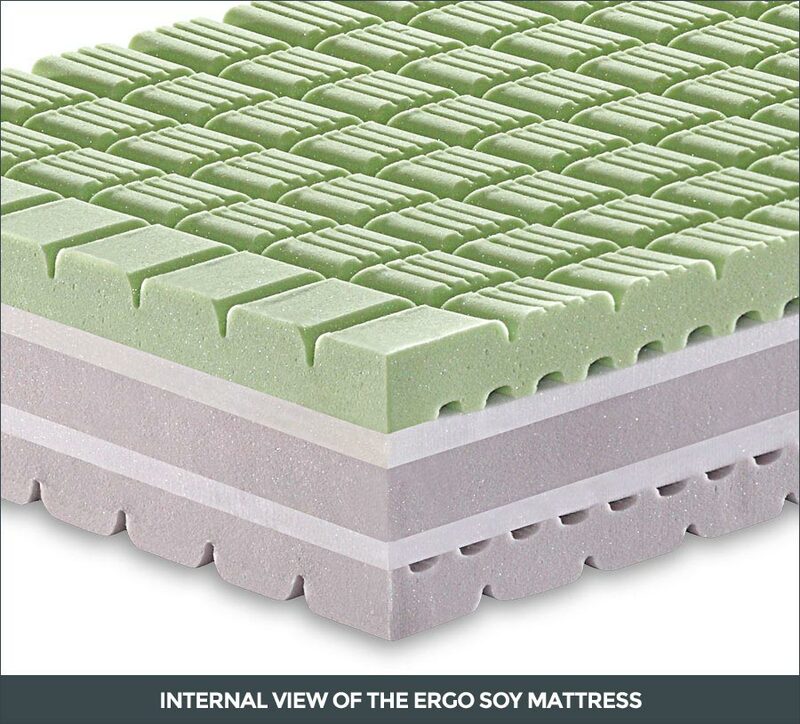 In order to support the body in an appropriate way, 2 layers of Eos reticulated foam have been inserted, as well as a section of independent pocketed micro-springs. 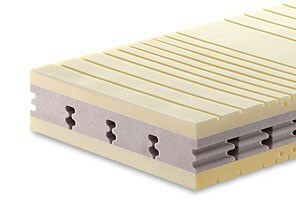 While the Eos layers filter and dissipate humidity, the micro-springs welcome body parts by avoiding sinking so that the dorsal-lumbo region is supported in different ways depending on the position taken during rest. 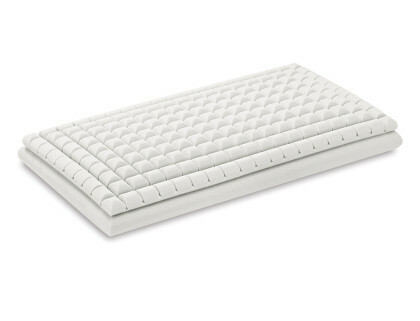 The core is made of a Memory Touch surface that enhances its soft feeling.